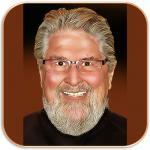 Sign up for Broadjam today to follow ROSS DOUGLAS, and be notified when they upload new stuff or update their news! 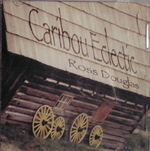 ROSS DOUGLAS IS A CANADIAN LIVING IN POINT ROBERTS WASHINGTON,with 3 albums of original song to his credit. He is eclectic by nature so variety is to be expected. Since joining Broadjam he's had Top 10s in country,blues,folk,jazz ,unique, regional and Earth categories. Over the years,his songs have been praised for their musicality,wit,poetry,intelligence and emotional power. And often because they're just plain fun. It's been called "terrific songwriting deserving of the widest audience!" Sample songs from all 3 albums here. JUNE Folk Alley declared Ross Douglas their "Artist of the Month" citing his "rich voice ,descriptive lyrics and great sounding recordings. January KOKANEE CANARY CANOE won the Gold Prize for Best Song in the Open Category of the 25th Annual Mid Atlantic Song Contest. It was also awarded the special Director's Award .FILLING IN THE YEARS was also a runner up in the Folk Category. All these songs can be heard in the SONGS section right here.